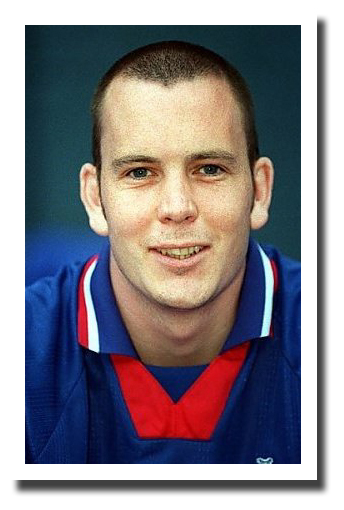 The Striker Tots Programme has been designed by ex-professional footballer Richard Graham. Richard joined the then Premier League club Oldham Athletic straight from school making his home debut against Manchester United. He remained at the club for 9 years making over 170 appearances before his career was cut short due to a serious knee injury. Richard has a ‘football mad’ son and after struggling to find a suitable football class to take him to in the local area, decided there was a need for infant football sessions to be provided. It just made sense for him to use his vast skills and experience to design a programme and take up the role of Head Coach. The sessions aren’t just for boys! Richard’s daughter is also a regular attendee who enjoys football just as much as any boy! Our sessions are very friendly and everyone seems to thoroughly enjoy them – even the parents cheering from the sidelines! It is amazing how much the kids grow in confidence each week and this is actively encouraged. Parents are surprised just how rapidly their child’s football skills improve and often at their level of ability at such a young age. It is fantastic for us to see. These sessions are aimed at kids from walking age to 2 years old for those toddlers who already love football but are too young for the Striker Tots programme. They will have loads of fun at our ‘football play’ sessions where they get to play with the footballs, goals and other equipment and to start to develop very basic football skills. They will also learn important social skills and make friends with other football mad toddlers! If you are interested in attending the toddler sessions but are unable to make it to the current sessions running, please do get in touch to register your interest as we will add more sessions in different areas if there are toddlers wanting to come along! Striker Tots also run school holiday football courses for primary school age children (year 1 to year 6). Kids have a great time with their mates and making new friends whilst improving their football skills and spending time being active and increasing their fitness levels. For more information, see soccer schools. Striker Tots can also be booked for birthday parties! Various packages are available and can be tailored to suit your requirements.